You’d expect to drink Pinot Noir and discuss terroir, the idea that the climate and land in which grapes are grown impart unique characteristics. But gin? Why not? Instead of fruit, local botanicals–soaked in a still or suspended in baskets above the spirit base as it’s vaporized en route to a condenser–define terroir. Almost 2,000 miles away, in downtown Los Angeles, where foraging is rare, the concept of distilled terroir is more abstract. 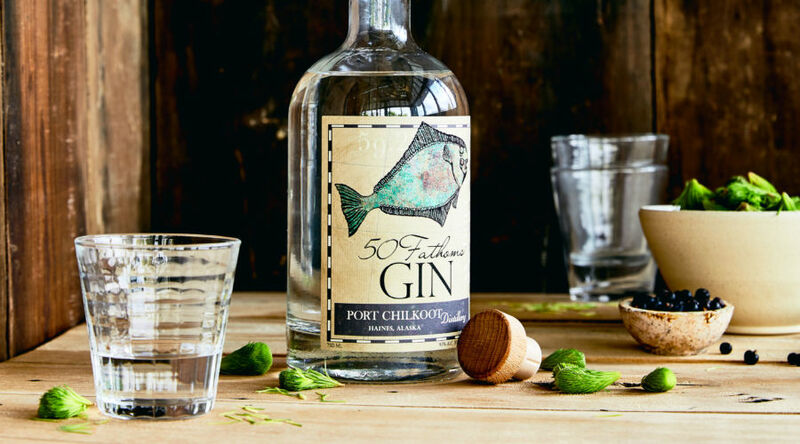 For example, Greenbar Distillery weaves herbs, spices, and other ingredients from the area’s global culinary communities into its City Bright Gin. The result is a melting pot of aromas and flavors that couldn’t be more L.A. While regional gin works best in simple cocktails or combined with tonic, it’s worth savoring alone over ice, too. Wash it across your tongue, and let the botanicals sketch out in your mind’s eye their point of origin, each sip like liquid GPS. (Wildwood Spirits Co., Kur Gin; 40% ABV; $28) State-grown wheat distillate forms the base along with juniper, Seville orange, coriander, fennel, and cardamom. Distiller Erik Liedholm also throws in Braeburn apples and Douglas fir grown in his backyard. Woodsy sweetness, citrus, and pine make this a mellow yet complex spirit. (Alley 6 Craft Distillery, Harvest Gin; 40% ABV; $40) Jason Jorgensen makes his grappa-like base using Sonoma County Viognier pomace sourced from nearby wineries. The resulting gin blends foraged fennel and California bay laurel with juniper, long pepper, rose petals, and ginger for floral and licorice flavors. Fun fact: Jorgensen’s mother is a professional botanical illustrator who draws the plants that grace the bottle’s label. (Santa Fe Spirits, Wheeler’s Western Dry Gin; 40% ABV; $32) It was the smell of the desert after a rainstorm that inspired owner Colin Keegan to experiment with gin. Made with foraged desert juniper, the magenta flowers of the walking stick cholla cactus, osha root, locally farmed Cascade hops, and white sage, the gin conveys cucumber, dill, and earthy flavors. (St. George Spirits, Terroir Gin; 45% ABV; $36) Intended to capture the aromas of the Bay Area’s Mt. Tamalpais on a sunny afternoon, the recipe Lance Winters created includes wild-harvested Douglas fir, California bay laurel, and coastal sage. They’re combined with fennel, lemon, cinnamon, Seville orange, juniper, and wok-roasted coriander for a sun-baked trail effect. (Greenbar Distillery City Bright Gin; 42% ABV; $29) A combination of culinary botanicals reflects the wide variety of cultures that make DTLA home: smoky lapsang souchong tea, Sichuan peppercorn, star anise, lemon balm, lemongrass, ancho chile, cubeb, spearmint, black cumin, and cardamom. It mixes with ginger beer especially well.